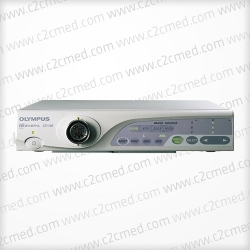 Olympus Visera CLV S40 is ideal for Endoscopic TV oberservation connectable with conventional telescopes, fibrescopes, Visera videoscopes and OES fibrescope. 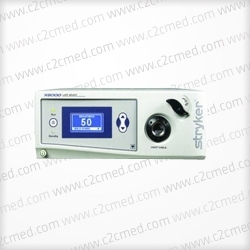 Adaptable to all endoscopic procedures: The powerful and convenient CLV-S40 makes endoscopic procedures easier then ever. 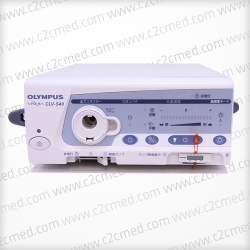 Ideal for Endoscopic TV oberservation connectable with conventional telescopes, fibrescopes, Visera videoscopes and OES fibrescope. 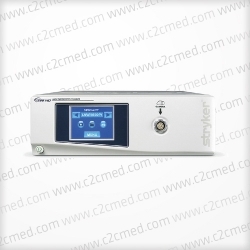 Adaptable to all endoscopic procedures: The powerful and convenient CLV-S40 makes endoscopic procedures easier then ever. 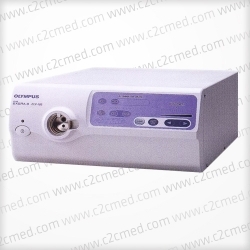 This high-quality xenon lamp provides an illumination which is ideal for endoscopy, allowing observation in deep sites or advanced techniques. Plus, it can be used continuously for 500 hours (in intermittent use, lamp life time may differ slightly). When the CLV-S40 is connected via a light guide cable to video systems such as the Visera system; brightness can be automatically adjusted, saving your time and energy. Illumination can be set to standby using a switch on the front panel or a remote switch on the camera head. With Intensity-Mode Memory, when the CLV-S40 is turned off in the high intensity mode, it will still be in that mode when turned back on. This is also true for the normal intensity mode. You can easily adjust brightness and power with buttons and switches on the front panel.